There is a point when a piece of music transcends all expectations, strikes at your very essence. 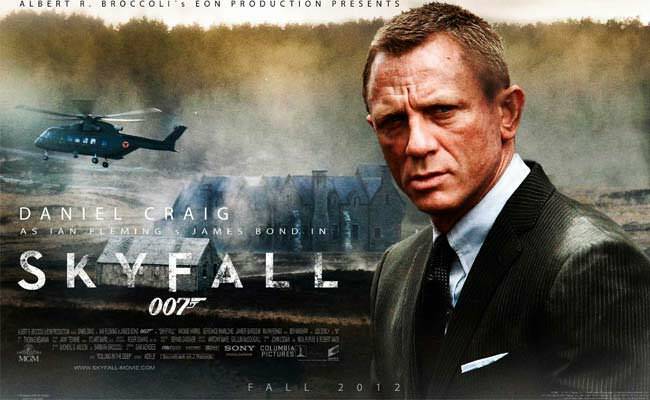 This for me is the Skyfall Theme Song: A modern masterpiece of melodic composition. There is such a level of depth and detail and drama in this track that each time I hear it, the shivers never leave me. From the opening French Horn drop, to the drums punching through to the first chorus. What is apparent with this instrumental is the tremendous emotional depth put forth by every player through every note. The genius of this arrangement and the delivery of the final product is simply astonishing. I dare you to listen to it and not be gobsmacked. Even though I have listened to this dozens of times, like an emotional well of melodic inspiration, it keeps giving back. I challenge anyone who listens to this not to be shattered to your very core. It is just that good, that powerful. This entry was posted in Film Production, Music Production, Opinion. Bookmark the permalink. I agree. This song is a masterpiece. The tons of “Bond” nuances and musical motifs throughout the song blew me away. Every chord feels palpable and intentional. Her control over the nuances of her voice that she has is amazing, and makes me get lost in the song. The song almost sounds so sultry and seductive to me, without even really trying or being about that. The lyrics are probably the weakest part of the song… a bit mindless and simple for most of the song, but they still pertain to the plot of the movie. The visual sequences of the movie’s opening over which the song was played also blew me away. The creativity and symbolism employed are powerful and really set the mood of the movie. One of the greatest movie openings ever, let alone of any Bond film.